There's never been a better time to be a female beauty entrepreneur. There has never been a better time to be a female beauty entrepreneur -- at least, that is, if you believe the data from the new list of "America's Richest Self-Made Women" compiled by Forbes. The business publication has released its list of the top 60 self-made women earners in the US, and of the seven newcomers, five have made their fortunes in the beauty and wellness industry. So, who are they? [post_ads]Leading the beauty pack is Anastasia Soare, who claimed spot number 21 on the list, with a $1 billion fortune. Soare launched her ‘Anastasia Beverly Hills' brand of makeup back in 2000, and the line soon became famous for its signature brow-shaping products, which corresponded beautifully with the rise of ‘Insta-beauty' and the bold eyebrow trend. The company expanded into color cosmetics in 2014. In 27th place on the list is Kylie Jenner, the reality TV star-turned-cosmetics-CEO who has amassed a $900 million fortune from ‘Kylie Cosmetics,' the online makeup brand she founded in just 2015 with her debut ‘Lip Kits'. The star has since gone on to expand her rapidly-growing portfolio to include products for eyes, lips and face, as well as tools such as makeup brushes. Huda Kattan began her beauty career as a makeup artist and blogger, before going on to found her own line of false eyelashes in 2013. Her ‘Huda Beauty' cosmetics brand now spans eye, lip and face makeup and has earned Kattan $550 million, and spot number 37 on the list. Anne Wojcicki's personal genomics company ‘23andMe' allows users to use DNA samples to find out more about their ancestry and family history. It has made her $440 million and garnered her spot number 44 on the list. Jenner's older sister Kim Kardashian West put her own stamp on the beauty industry last year, with the launch of her ‘KKW Beauty' and ‘KKW Fragrance' brands. 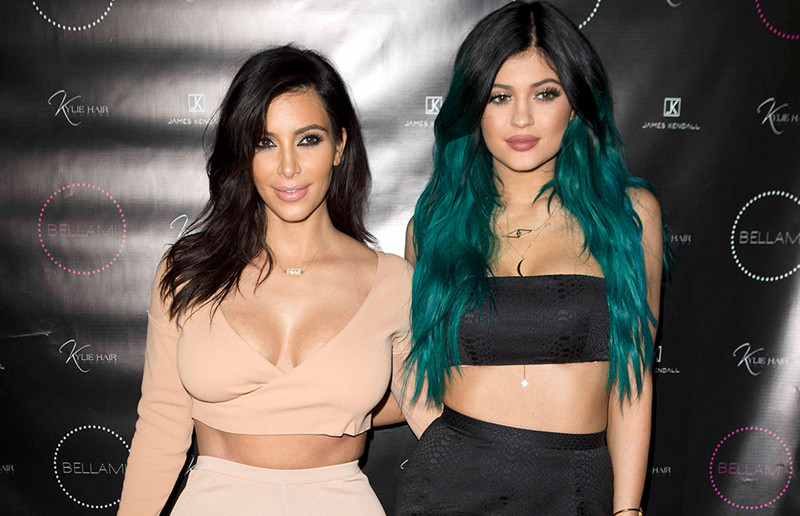 Both have seen incredible success since their conception, netting Kardashian $350 million. She is placed at number 54 on the list.